Anyone who has been following the #suydamized story has likely had a laughter filled couple days. 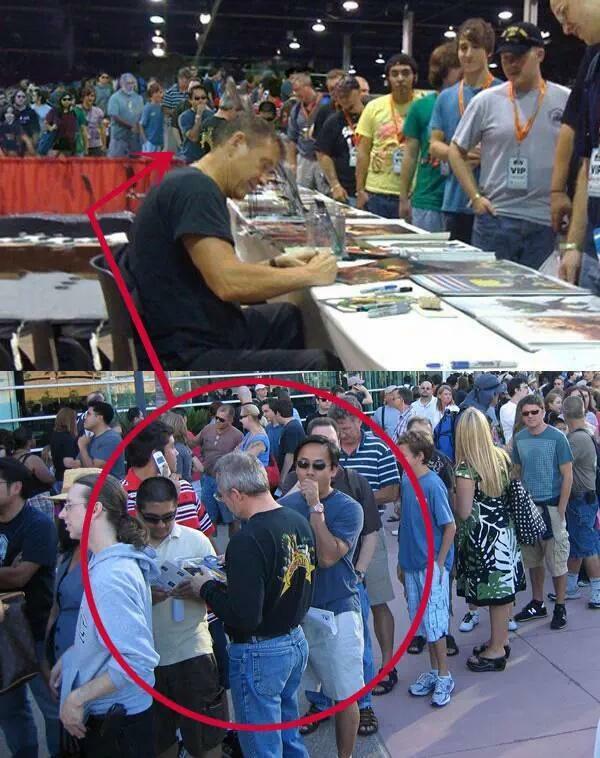 After zombie comics artist Arthur Suydam stole several other creators’ tables to make his own “super table,” a slew of superstar creators like Mark Waid and Ron Marz called him out in the harshest possible terms. Then the entire internet did. 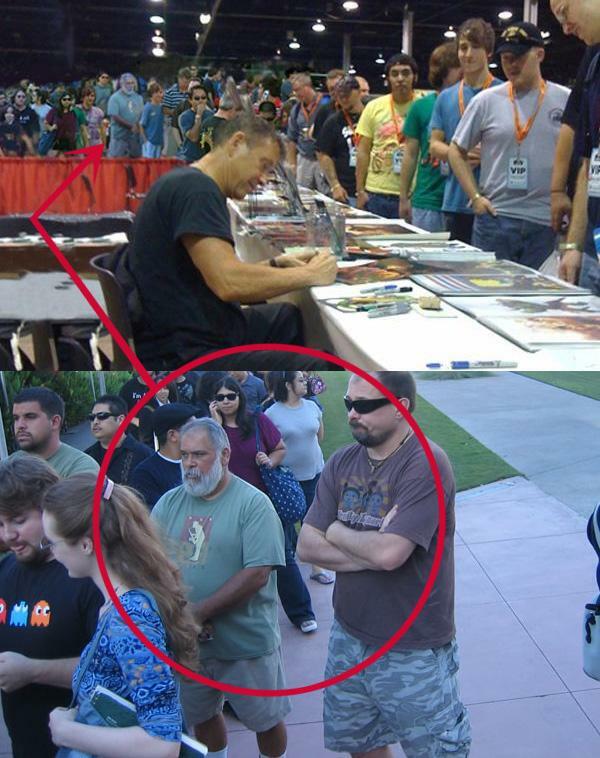 After the hashtags #suydamized and #tablegate were well established on Twitter, someone began to notice that something wasn’t right in the press photos that Suydam was posting of the huge crowds waiting to get to him. It appeared as though the big “line” actually had the same people in different parts of it, showing that it had been photoshopped to make it look bigger. He had literally placed cut out pictures of people standing outside into his line, which is obvious to anyone who looks close enough. This was just the most recent episode on a long history of Suydam’s unreasonably large ego that has gotten him in this predicament. “Thanks for bringing the photo to our attention. I’m on the road with no Internet, but if it’s the one I think by the description, that’s a rather old one that one of my former assistants pulled off the Internet. Probably a pic that a client was using to promote an appearance…I had liked the photo because it was a side view and showcased the fans as well and the convention experience. It seemed representative. “We had no idea anything in the photo was apart from the original, since I do have a lot of folks visiting–especially on Sunday when I do free sketches for kids. We do that at all shows and offer other promotions as well– I just assumed it was one of those days.